Newly opened in early Dec 2017, Wreckless is a wonderful addition to the bustling downtown Fullerton restaurant scene. It may quite simply be the best restaurant in the area. As you walk in, your first overall impressions would be ‘Gastro-pub’. You would be wrong. It is far more that that. The place is clean, casual, and spacious with copper lamps above the bar, chandeliers in the dining room, large stuffed arm chairs in the lounge area, exposed brick walls, and excellent art work on those walls. It is very comfortable yet quietly elegant; absolutely not a shorts, flip-flop and t-shirt establishment. This is not a Gastropub by any stretch of the imagination. But this is a Martini blog and as much as I may like the food (I do! ), I’m here to review the Martinis. The bar itself is impressively configured of dark wood and displays a very nice assortment of whiskeys, many tequilas, and quite a few vodkas. Of course there is also an assortment of Gins, as I describe at the bottom of this post. There is a also a (to me) fascinating, and relatively rare, ice rail at the back edge of bar. I’m not sure how effective that would be for a Martini, but certainly would help keep a beer or glass of water chilled. Besides, it looks really cool. There are only two TVs over the bar so it will not in any way be confused with a sports bar. Which is just perfect for me. The Martinis themselves, simply put, match the food: delicious. They are ample, cold, and shaken vigorously then poured promptly into a refrigerated pre-chilled glass. As there is an abundance of gins from which to choose you can freely and happily experiment with many different flavors. The bartenders have all been excellent; professional, helpful, patient, and attentive without being overbearing. And they have been endlessly tolerant of my as I ask about the various gins. My only nit with the Martini is that it was served in Champagne goblet. 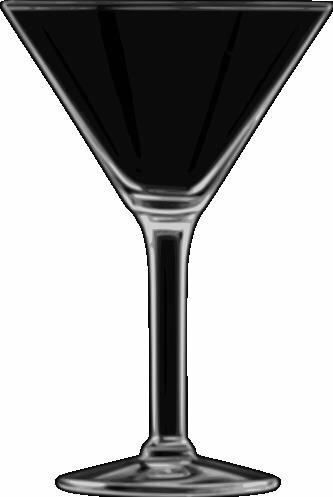 Those that are regular readers of this blog know that I’m a bit of a stem snob and prefer my Martinis in a Martini stem. But that is a very minor observation. Wreckless has also sporadically scheduled live music in the evenings. On a recent Thursday it was a jazzy, folksy, a bit of bossa nova duo – a guitar and vocalist. They claim to mix up their music on a weekly basis, so check their web-site for the schedule of entertainers, if any. Overall Wreckless gets one stem. As I mentioned above, their Martinis are good! Certainly not exceptional enough to my two stem award. However, the food certainly makes it worth a visit or two. Or three? For selection Wreckless gets a A. Their list of Gins on my latest visit includes Bombay, Bombay Sapphire, Tanqueray, Hendricks, Ford’s, Junipero, Botanist, Death’s Door, Bluecoat, Nolet’s, Ransom, Aviation, Uncle Val’s Peppered, Plymouth, Beefeater 24, and Bols Genever. These may change in time, of course. I am very sad to let you know that the Manhattan Steak & Seafood is no longer in business. Manhattan closed some time ago and I had been hoping that a new owner would appear and re-open this fine local steakhouse. Unfortunately that has not happened. I believe his hidden gem suffered form severe lack of exposure coupled with a rather odd location. In the first case the owners, in my opinion, never adequately advertised this wonderful comfortable restaurant. Given it’s proximity to the Children’s Hospital of Orange County (CHOC), I would have thought there would be a continuous stream of medical professionals stopping by for lunch and after work refreshments. But apparently the management there did not pursue this obvious opportunity. The second failing was not really the owners fault. While easy to get to and with ample parking, Manhattan Steak & Seafood is located on a rather pedestrian and uninspired main street surrounded by a seemingly never ending collection of small strip malls. I will miss the Manhattan Steak & Seafood. Opening in 1958, Orange Hill Restaurant is a bit off the beaten track in the residential city of Orange, in the county of Orange, California. There is nothing exceptionally noteworthy about the restaurant, certainly not a Michelin starred restaurant; it is not world renown, or even nationally renown, for it’s food. Located up a hill in the middle of Orange County with an outside patio that stretches 180 degrees around the facility, the view stretches from the north west to the south east and on a clear day you can see the Los Angeles skyline, south through Long Beach, and down to Newport Beach and Irvine. But back to the restaurant: my Michelin comments above notwithstanding, the food is really good. Their tag line is “Prime Steaks and Primo Views” which is absolutely apt. But their selection is more than just steak; their specialties on this day include Miso-marinated Chilean Sea Bass, Truffle Lobster Baked Mac & Cheese, Seared Ora King Salmon Cioppino, and others. Their Entrees today include Chateaubriand for Two, House-Cut Kurobuta Pork Chop , USDA Prime Rib-eye Steak, and several other steak selections. And of course the appropriate selection of accompanying sauces, sides, and enhancements. While I haven’t yet sampled all of their selections, what I have sampled was excellent. The staff was great, very helpful and attentive without being overbearing. The decor was comfortable and clean, very basic modern American, and definitely not over crowded with close tables and tight walk spaced. The restaurant and lounge both have an abundance of windows to enjoy the view but the outside patio I mentioned is a much better place to sit, relax, and eat. There are plenty of heat lamps around for those chilly southern California evenings. It is marvelous in it’s view and casual relaxed atmosphere with excellent food. I will definitely go back. As far as the Martini’s go, they do a fine job, nothing spectacular or otherwise noteworthy, but just fine. My Martini was nicely shaken, adequately abundant, and served in a pre-chilled refrigerated stem. And their selection of Gins is also fine, actually just a bit less than fine (see list below) considering their upscale efforts elsewhere. They appear more interested in their wine selection; they are a 2011 Wine Spectator Award of Excellence winner. And their selection of whiskeys is more than adequate with a very good Japanese selection. Overall a very good restaurant that sadly seems to get lost in the abundance of very good restaurants in the Los Angeles / Orange County area. Definitely worth a visit if you’re in the area. A couple words of advice. First, get there early as there’s only one narrow winding road up the mountain and it gets backed up waiting for the valet. There is no self parking. Second, as with many restaurants with spectacular view, the food and drinks are a bit pricey; $16.oo for my Martini. Overall Orange Hill gets one stem. As I mentioned above, their Martinis are fine. Certainly not exceptional in anyway to earn my two stem award. However, the food and view are truly worth a visit. For Gin selection Orange Hill gets a C.
Their list of Gins includes Bombay, Bombay Sapphire, Hendricks, Nolets, Botanist, Broker’s, and St. George Terrior. These may change in time, of course. Vast Restaurant is on the 49th floor of the Devon Energy Center in Oklahoma City. You can’t miss the building as it is the tallest one in the city, by far. It’s almost twice as tall as the next tallest building. Overall this is a beautiful restaurant with beautiful views of Oklahoma. Absolutely magnificent views, in all directions. While I didn’t get a chance to visit at sunset, I would imagine that would be incredible. The decor is modern, clean, and bright. Lots of stainless steel but with warm wood trim. Almost, but not quite, what I could call industrial. The only decoration was the view. The food I sampled was excellent. I would have liked to try more of the dishes but time did not allow that. The bar staff were very cheerful, helpful, and knowledgeable. As I arrived upon opening and it was still a bit slow, the bartender was kind enough to show me around and point out some of the Oklahoma landscape landmarks. Finally, and most importantly, the Martini was top notch. Served shaken, ample, and very cold. I don’t usually comment on the twist, but this one was artistically done! It was easy to sit back and slowly savor the Martini while enjoying the beautiful scenery of Oklahoma. My one, and only, complaint was that the bar was set up opposite the windows. So sitting facing the bar my back was to the view. I spent much of my time at the bar turned around to enjoy the view which left my Martini on the bar behind me. Just a bit awkward. Vast is a special restaurant worthy of any sort of celebration. Even if you’re just celebrating dinner or a drink. I’ve now reviewed several restaurants at the ‘top’ of buildings, all with stellar views: 71Above in Los Angeles and R2L in Philadelphia come quickly to mind. One common thread I’ve noticed is that these tend to be on the pricey side. I keep writing something about the ‘prices being worth it for the view’ or something similar. Vast is no different. It’s just a bit too expensive for the food and drink alone, but absolutely worth it for a special evening out. Overall VAST gets one stem. The Martinis really are quite excellent, they’re just not perfect enough to warrant my two stem award. However, the overall atmosphere and experience are truly worth a visit. For selection Vast gets a B. Their current list of Gins include Bombay, Bombay Sapphire, Tanqueray, Tanqueray 10, Hendricks, Beefeater, No. 209, Plymouth, Bols Genever, and Brokers. These may change in time, of course. Lets see …. I’ve done reviews of Airport restaurants (P.F. Chang’s), restaurants on barques (Moshulu), and restaurants in casinos (Red Oak) and train stations (Traxx). Steakhouses, Italian, Chinese, Seafood, and lounges that don’t even serve food. So clearly I have no fear of venturing off the beaten path, so to speak. What’s next? How about a museum cafe? That’s sound different, right? The other weekend I found myself at the Petersen Automotive Museum in Los Angeles where they had a Ferrari special going on. No, not to buy, but to see. Actually, it was the free “Enzo Ferrari Birthday Cruise-In” and it was indeed impressive. Finishing an exhaustive review of these fine cars I went looking for some refreshment and a place to sit. Having been through many museums in my life across several continents, I had in mind a crowded cafe with a long line of people waiting, tray in hand, to proceed through a serve yourself counter displaying the usual assortment of packaged sandwiches, sodas, fruit plates, quick (& queasy) deserts, and expensive beers or wines. If I was lucky there might be a short order cook taking orders for burgers, dogs, and fries. But I was parched and resigned to my fate. But no! Not here. Here there is Drago Ristorante, a full on sit-down take-my-order restaurant. The only semblance to my preconceived notions was a bit of a line at the hostess station. I quickly bypassed that and headed directly to the bar. Yes a real bar. With real liquor, a nice selection of wine, and beer on tap. The food that I tried was very good. And there were items on the menu that I didn’t try that really caught my eye. Such as “Gnocchi di Patate al Nero di Seppie” and “Spaghetti a I Frutti di Mare”, to give you a quick sampling. I certainly look forward to trying additional items in the future. And this really makes Drago a bit different, and special. If I was in the neighborhood for any reason and was hungry and looking for a place to eat. I would have no issue with heading over to the Petersen Museum just to eat at Drago. Whether or not I was going to enter the Museum, which, by the way is truly impressive. Finally, yes, the Martini was really very good! Very much in keeping with the concept that this is a full on restaurant and not a inexpensive museum soda bar. It was nicely mixed with the right amount of Vermouth for my ‘dry’ preference. The stem was well chilled and the Martini well shaken. The bartender was professional and courteous and the serving ample. Overall Drago gets one stem. I would make a trek to Drago for the food, ambiance, and Martini. But not for the Martini alone. Their selection includes Tanqueray, Tanqueray 10, Bombay Sapphire, and Beefeater. That’s it. At the moment. In my conversations with the GM there I believe that this selection will expand in the future, I do hope so. I’ll provide an updated review when, and if, I witness this improvement. The King George II Inn is known to be the oldest continuously operated Inn in America! Founded in 1681, it sits on the Delaware river in the quiet town of Bristol, PA. The Inn no longer offers overnight accommodations but the restaurant and lounge are in full operation. There are several dining rooms, some of which overlook the river and park just along the river, a historic tavern, and an outdoor riverfront patio for al fresco dining. I’ve been to the King George many times over the years and it has always been a great experience. The place exudes history, the food is consistently very good, the views from the upstairs dining room are beautiful, and the people have always been friendly and professional. The tavern area doesn’t have the great river views, but it has a gorgeous huge mirrored bar which is almost as impressive. There is lots of dark wood accents through out the room, and whole inn, to keep it warm and inviting. Sadly my simple photos do not do it full justice. Overall the King George II Inn’s Tavern feels like a perfect neighborhood watering hole. Not a dive bar by any means but a very comfortable, clean, and classy place to hang out during the week watching the game du jour. Overall I give the King George II Inn one stem. As for selection, the King George II Inn gets a C-. The gin choices are limited to only Bombay, Bombay Sapphire, Tanqueray, Hendricks, and Beefeater. Hopefully they will expand their selection in the future.